Spring has wafted in bringing some relief from the drought as swathes of wild flowers stretch across the veld. There’s an air of triumph about – a flap of wings and the squawking of little hatchlings. 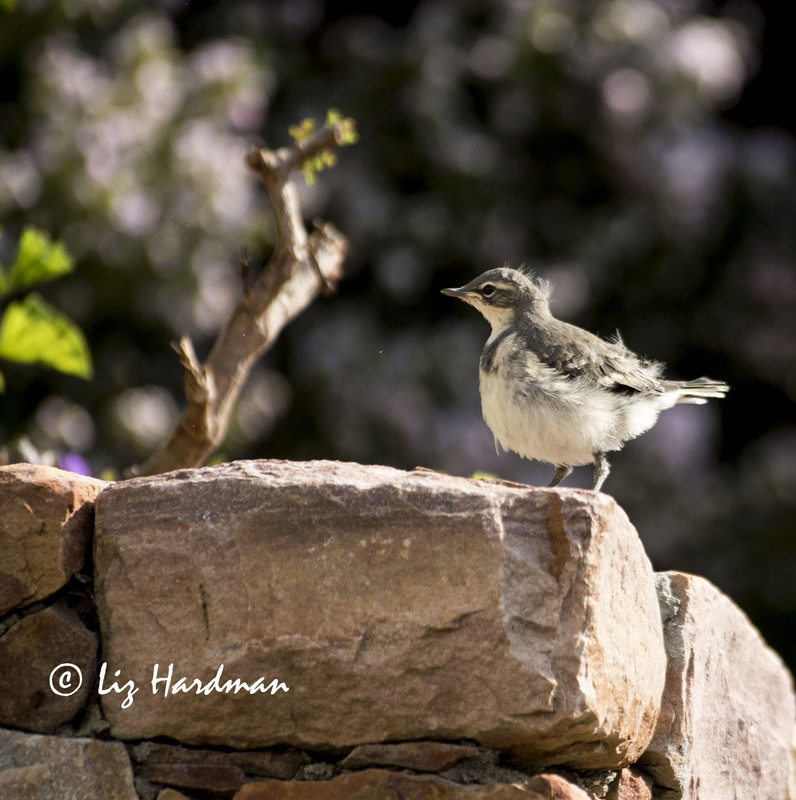 A welcome sight in our backyard is a newly fledged Cape wagtail chick. It plopped out of the nest like a little plum pudding and landed with a bump. The parents continue to fuss around encouraging it to fly, following with encouraging tweets. Initially there was a setback with the first nest when it was abandoned after the local baboon troop came for a visit through the neighbourhood. They’d spent a week constructing a perfect little structure and had just lined it with soft feathers when the furry visitors rudely clambered right up the very jasmine creeper where it was sited and partially dislodged it in their rush to jump over the wall. The birds were so spooked that they took off and disappeared for a while before returning to choose a new site to rebuild. Happily there was a successful outcome and if the pattern of past years is repeated the adult pair may well produce two more batches of chicks this season. They did it!! The wagtail pair have successfully produced their second brood of the season. After the bad luck of losing the last nest and having to abandon four eggs they triumphed by fledging three little chicks today. There was a lot of wriggling in the nest, the dominant chick stands on two siblings. The two larger chicks ventured further and flew off over the garden wall, while this little one found shelter under the garden bench. The parent birds started rebuilding their third nest on the 7th October and five weeks later the chicks have fledged. They will continue feeding them for another couple of weeks and I hope that they will stay awhile in the shelter of the backyard. The rotund little chick on 13 September. It became self sufficient quickly with the full attention from both the parent birds and within ten days it had flown the backyard coop. 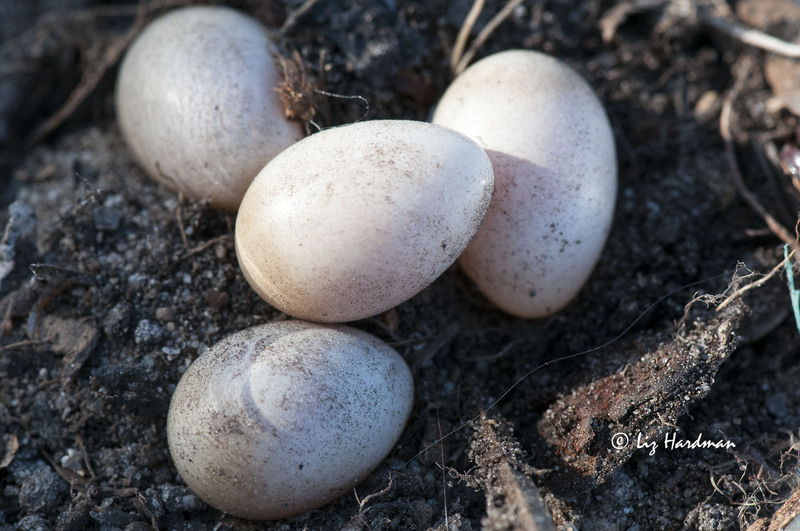 The parents were soon back in the nest with a second batch of eggs when disaster struck. 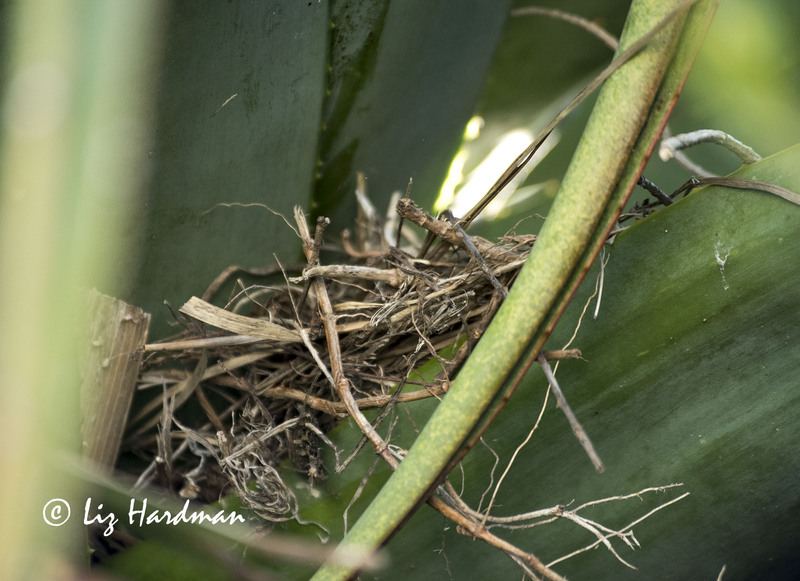 After a bout of galeforce winds, the nest came adrift from it’s position on a broad aloe leaf and collapsed to the ground spilling the four beautifully formed eggs. It’s a little over two weeks now and soon I expect to hear the first cheeps. The nest is too high for a glimpse to check out the numbers, but I’m eager to know whether they aimed high with four again.